For traditionalists, the conservative ascendency of the 1980s turned out to be a major disappointment. With the triumph of multiculturalism and political correctness, liberalism seemed to move from strength to strength. Still, a stout number of southern conservative writers plunged forward, and their themes of populism, immigration, and cultural integrity are seeing a contemporary resurgence. 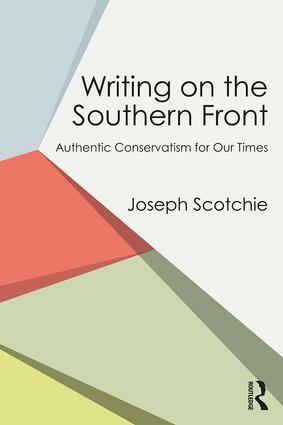 Discussing a wide array of authors who worked in a variety of genres, Joseph Scotchie celebrates those unreconstructed champions who fought the culture wars of their times with a special learning and vigor. Also included in this collection are creative artists who kept the flame of literature alive, providing visions of possibilities that only genre can provide.